Miami, April 2, 2019 — On Saturday March 16th, Best Buddies International, a groundbreaking nonprofit founded in 1989 by Anthony K. Shriver to establish a global volunteer movement that creates opportunities for one-to-one friendships, integrated employment, leadership development and inclusive living for people with intellectual and developmental disabilities (IDD), hosted its 9th annual Best Buddies Friendship Walk: South Florida at Maurice A Ferré Park in Downtown Miami. More than 3,000 people attended the Friendship Walk and the event raised over $600,000 in total donations, a record for the organization! The day kicked off with energetic music as the event MC, WSVN news anchor and Best Buddies supporter Craig Stevens, welcomed everyone to the Friendship Walk. Best Buddies participant Alexis Greenberg, who has been involved with Best Buddies for over six years, performed a beautiful rendition of the National Anthem. The event was the perfect gathering for fun, fitness, and friendship, and featured several family-friendly activities including a petting zoo, face-painting, a photo booth, a beer garden, and bounce houses. Notable guests included several members of WSVN’s news team including Anchors Craig Stevens, Belkys Nerey and local reporter Lorena Estrada, ABC’s The Bachelor contestant Connor Obrochta, and Miami-Dade County Public Schools Superintendent Alberto Carvalho. 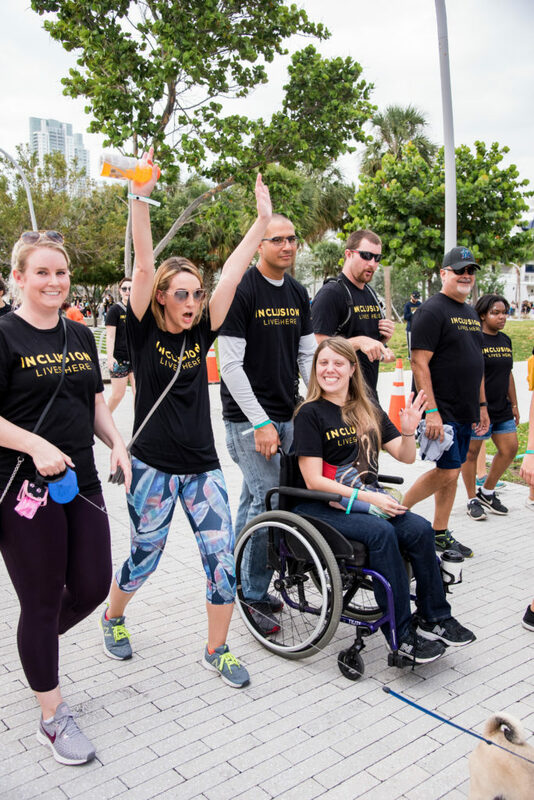 Buddy pairs, teams, and supporters traversed the 5K course alongside the scenic Biscayne Boulevard. The Walk began and concluded at Maurice A Ferré Park where participants were treated to lunch, generously provided by Subway. Afterwards the participants were invited to dance and celebrate their achievements by visiting the activity booths. This year’s Best Buddies Friendship Walk: South Florida included a one – mile competitive run. 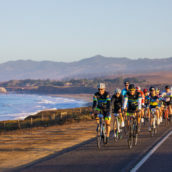 In total, over 30 people participated in the race. Since 2009, more than 200,000 participants have walked in over 30 states and raised more than $21 million for Best Buddies. Proceeds from the Friendship Walk are fundamental in supporting state programs that provide one-to-one friendships, integrated employment, and leadership development. These programs can be found in all 50 states and will create promising opportunities for more than 350,000 people this year. 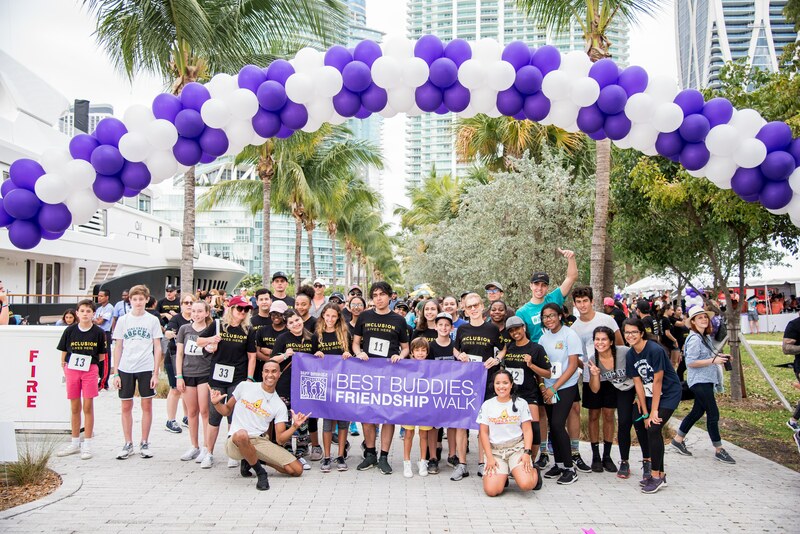 The 2019 Best Buddies Friendship Walk: South Florida was a record-breaking success! This year’s Best Buddies Friendship Walk: South Florida sponsors and corporate partners included: Able United, Celebrity Cruises, WSVN, Nordstrom, Franklin Group , Tuuci, GrayRobinson, SMASF (South Florida Institute of Sports Medicine), Mastercard, Value Store It, PNC Bank, Banco do Brasil, Publix, Inktel, Valuation Services Inc., Zumba, IPC, City of Hialeah, Holland & Knight, Royal Media Partners, Turnberry & Associates, Starwood Property Trust, Park Street, Boies Schiller Flexner LLP, Duane Morris, Carlton Fields Jorden Burt, City of North Bay Village, City of Miami Beach, Tobias, Financial, BankUnited, Apollo Bank, Genovese Joblove & Battista, and Pirtle Construction. Best Buddies® is a nonprofit 501(c)(3) organization dedicated to establishing a global volunteer movement that creates opportunities for one-to-one friendships, integrated employment, leadership development and inclusive living for people with intellectual and developmental disabilities. Founded in 1989 by Anthony K. Shriver, Best Buddies is a vibrant organization that has grown from one original chapter to nearly 2,900 middle school, high school, and college chapters worldwide. Today, Best Buddies’ nine formal programs — Middle Schools, High Schools, Colleges, Citizens, e-Buddies® , Jobs, Ambassadors, Promoters and Inclusive Living— engage participants in each of the 50 states and in 54 countries, positively impacting the lives of over 1.25 million people with and without disabilities around the world. In many cases, as a result of their involvement with Best Buddies, people with intellectual and developmental disabilities secure rewarding jobs, live on their own, become inspirational leaders, and make lifelong friendships. For more information, please visit www.bestbuddies.org, facebook.com/bestbuddies or twitter.com/bestbuddies.